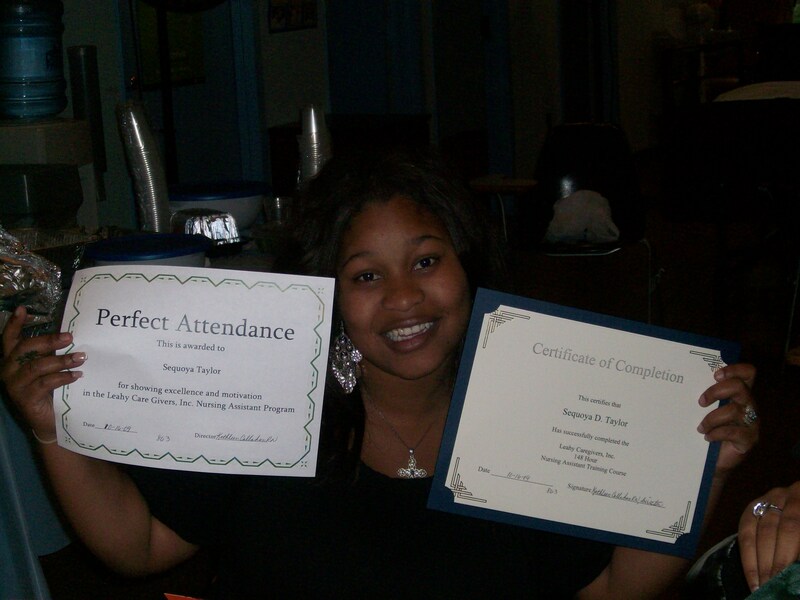 YouthBuild Philadelphia Charter School’s Healthcare students each received a Certificate of Completion for successfully completing the nurse aide training course at Leahy Caregivers, Inc. The nurse aide training consists of three rotations, including 59 classroom hours, 47 lab hours, and 42 clinical hours, for a total of 148 required hours. 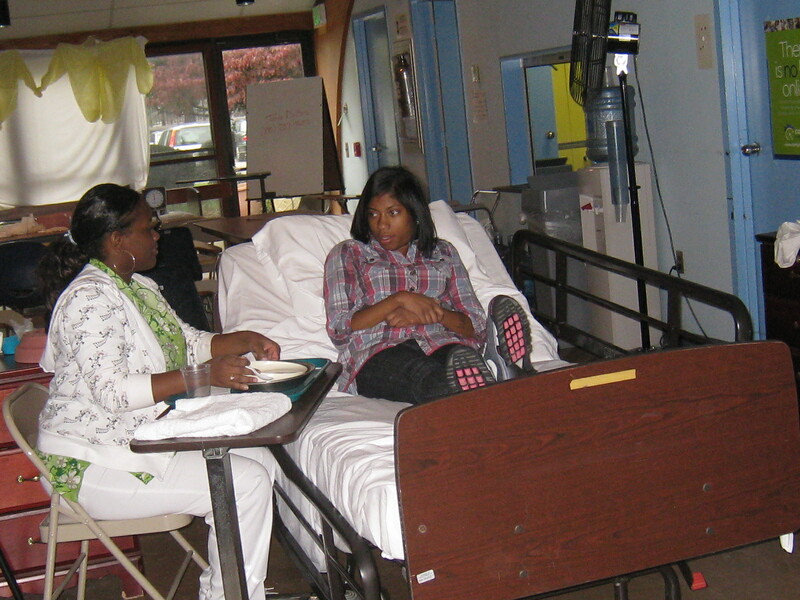 YouthBuild’s Healthcare students completed their clinical hours at the Philadelphia Nursing Home, where they shadowed experienced nurse aides and assisted residents with feeding, bathing and other activities of daily living. 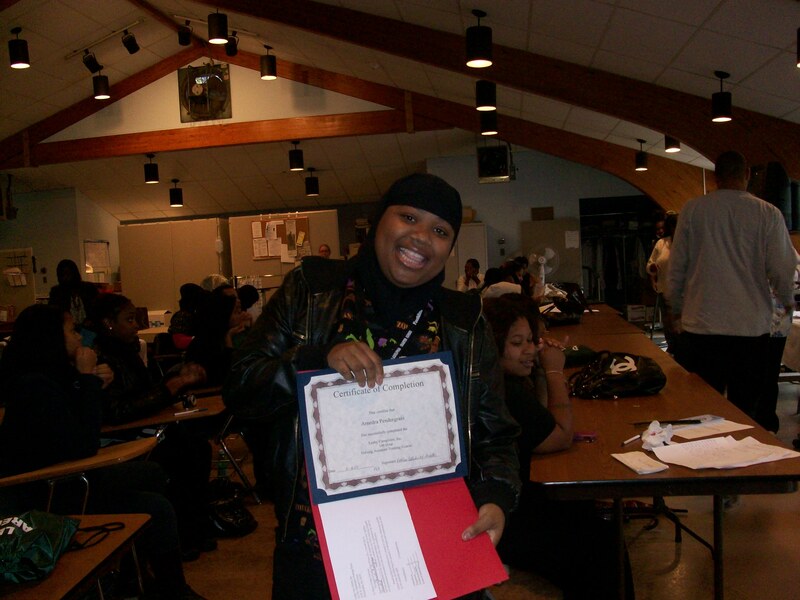 In addition, YouthBuild students earned American Red Cross Certification in CPR, AED and First Aid. To date, eleven Healthcare students have passed the written portion of the Pennsylvania Nurse Aide exam, and eight students have passed the skills portion of the exam. A total of seven Healthcare students have successfully passed both the written and skills portion of the Pennsylvania Nurse Aide exam and are now Certified Nurse Aides. 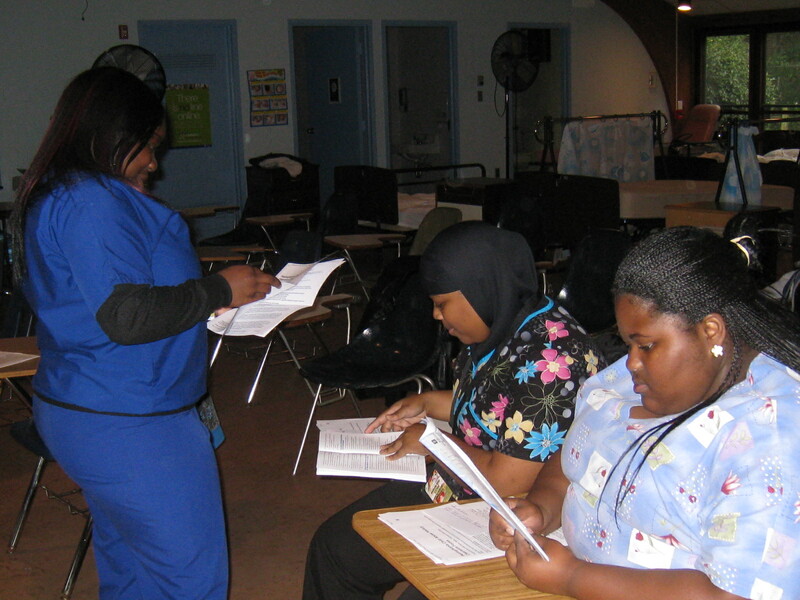 Please wish our students luck as they continue to sit for the Pennsylvania Nurse Aide exam in hopes of becoming Certified Nurse Aides! Previous Post Thanksgiving for a Family of 300!